There has never been a better time to consider adding a smartwatch to your wrist. 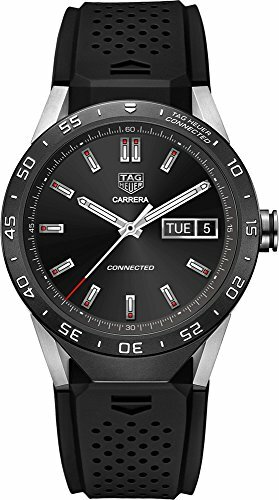 With two distinct categories to choose from - fully smart or hybrid - and tech firms like Apple, Samsung and Google mixing it up with watchmakers like Fossil and Tag Heuer, the market is as exciting as it is diverse. Google is expected to finally launch a smartwatch of its own, tipped to be called the Pixel Watch, in the fall, and Samsung is said to be preparing a new watch too. Then there's the perennial success of the Apple Watch, the rebirth of Withings, and even some quality wearables from the Swiss, founding fathers of the mechanical watch and famously dismissive of change. 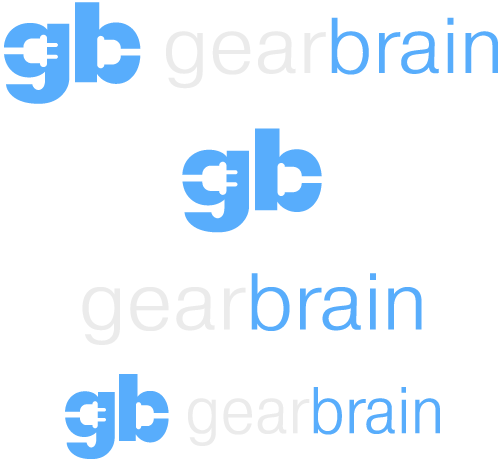 This is the GearBrain guide to buying a smartwatch in 2018. We have highlighted the major brands to consider, and explained the differences between smartwatches and hybrids, and how even Swiss luxury watches are gaining some smarts. In our eyes, a watch becomes a smartwatch when it replaces its traditional face and mechanical hands with a touch screen. Some hybrids do a bit of both, putting simpler displays inside the face of a regular watch, but we'll cover these further down this article. 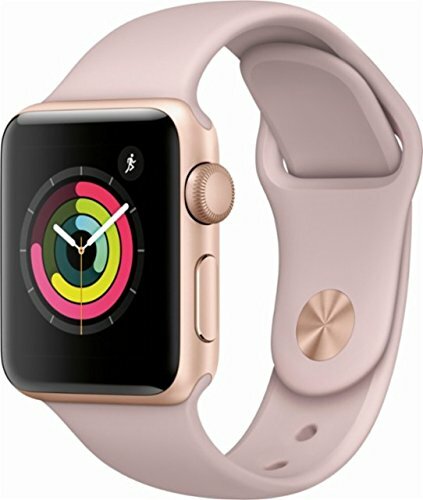 When it comes to smartwatch operating systems, like with computers and smartphones there are a couple of main players to consider. First, there is watchOS, which is the operating used exclusively by the Apple Watch. Next, there is Wear OS, which belongs to Google and was called Android Wear until earlier in 2018. The name was changed to promote the fact that watches running Google's software work with iPhones as well as Android devices. 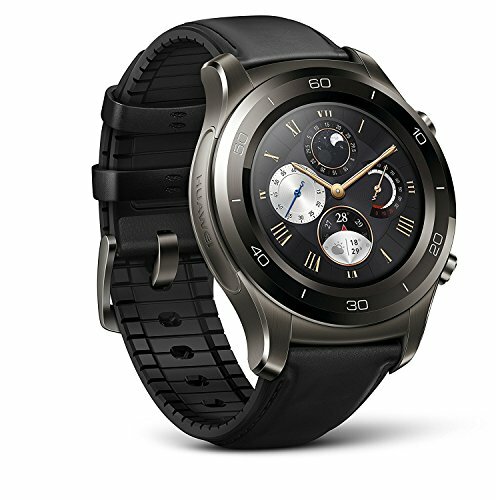 Although Google doesn't yet produce a smartwatch of its own, Wear OS is found on smartwatches made by many brands, from LG and Huawei to Misfit, Montblanc and Tag Heuer. Early smartwatches suffered from poor battery life of no more than one day, uninspiring designs, and middling performance. Today, there have been vast improvements in all of these areas, with batteries lasting two or even three days, slimmer designs, and increased performance with better apps, connectivity and features. In most cases, smartwatches can double as a fitness tracker and exercise buddy, tracking walking, running, cycling and other activities, sometimes with the help of an embedded heart rate monitor. Smartwatches also excel at notifications, vibrating your wrist when you receive a phone call, text, email or other kind of message. 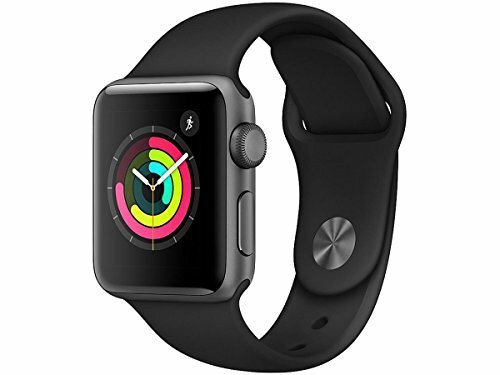 The Apple Watch is widely regarded as one of the most capable smartwatches on sale today. It is available in two sizes (with diameters of 38mm and 42mm), three different materials (stainless steel, aluminium and ceramic), and with a wide range of strap options. 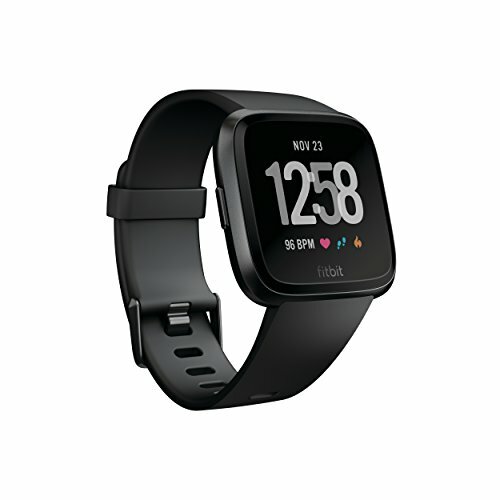 New for this year's Watch Series 3 is a cellular option, giving the watch an LTE (4G) connection so it can connect to the internet and receive texts and phone calls without being connected to an iPhone over Bluetooth. However, the Watch is only compatible with iPhones, and does not work with Android devices. Prices start from $329 and run up to just over $1,300 for the ceramic Watch Edition. 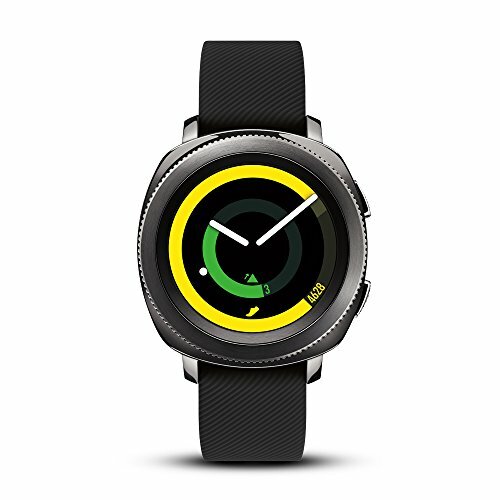 Samsung entered the smartwatch market with an Android Wear device, but has since gone its own way with Tizen. The latest offering is the Gear Sport, which offers a wide range of exercise and fitness tracking options, but has a design which we felt let it down. To Samsung's credit, Tizen employs a rotating bezel for navigation, reducing the need to touch the screen, which obscures your view and covers it in greasy fingerprints. Samsung is expected to launch a new wearable called the Galaxy Watch soon, which is tipped to run Google's Wear OS. This has prompted claims that Samsung is abandoning its own Tizen system in favor of Google's. We should find out for sure at the IFA technology show in Berlin at the end of August. Formerly known as Android Wear, this is Google's smartwatch operating system. It is used by a range of manufacturers, including tech companies like LG and Huawei, but also watch and fashion brands like Kate Spade, Hugo Boss, Guess, Michael Kors and Fossil. Wear OS offers the same basic features as watchOS and Tizen. There are several customizable watch faces to pick from, apps to download and install, a notifications system, and varying degrees of fitness, sleep and exercise tracking. Where the Apple Watch has Apple Pay and Samsung wearables use Samsung Pay, Wear OS watches make use of...you guessed it, Google Pay. Not all models have NFC (a requirement of Google Pay), but most do and these can be used to make in-store purchases instead of using your credit card. Prices for Wear OS watches start at around the $200 mark for a model from a fashion brand, but climb to over $1,200 for examples from Swiss watchmaker Tag Heuer. While some differences relate to functionality and variables like display resolution, the biggest difference between Wear OS watches is their design, the materials they are made from, and the brand name. Because the software is the same, there is no real difference in how each watch works or what it is capable of. As we mentioned above - and recently reported on - Google is tipped to be releasing its first own-brand smartwatch later this year. Said to be called the Pixel Watch, it is expected to launch alongside the Pixel 3 smartphone at the company's annual fall event. Anyone in the market for a smartwatch should wait and see what Google has up its sleeve before buying something else. Generally speaking, the hybrid watch is one which has a traditional face with physical dials, but also includes a Bluetooth connection, accelerometers to track exercise, and a companion smartphone app. Some hybrid watches also have a vibration motor to deliver notifications or silent alarms to your wrist, and most look like regular timepieces. Although you can't write an email or hail an Uber with a hybrid smartwatch, you can wear them for weeks or even months at a time before they need charging or a new battery. The step-counting tech of a hybrid watch is rarely more accurate or more detailed than what your smartphone can manage. But not everyone carries a phone in their pocket all day, and it's often more convenient to glance at your wrist instead of grabbing your phone and opening the step-counting app to check your progress. Hybrid watches are popular among fashion houses, especially the many brands owned and managed by the Fossil group. As with smartwatches, hybrid watches are made by Misfit, Skagen, Michael Kors, Fossil itself, and many others. 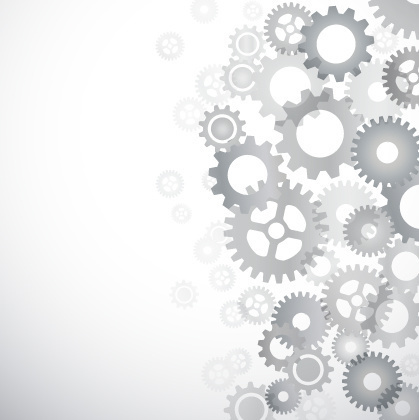 Technology companies have mostly steered clear of the hybrid market, apart from Withings. The French company caused a stir with its attractive Activite watch, which launched in 2014 as an answer to the smartwatches of the time, which were considered ugly and too bulky for many consumers. Nokia then purchased Withings and began selling the same watches through its new Nokia Health brand. The Finnish company added a heart rate monitor and simple monochrome LCD display to the watch, giving it more smarts but sticking to the original recipe of the watch being slim and classically attractive. The result, called the Steel HR, costs from $180 and is available in two sizes, 36mm and 40mm. But this wasn't a commercial success for Nokia, which sold its Health division back to Withings founder Eric Carreel in 2018. 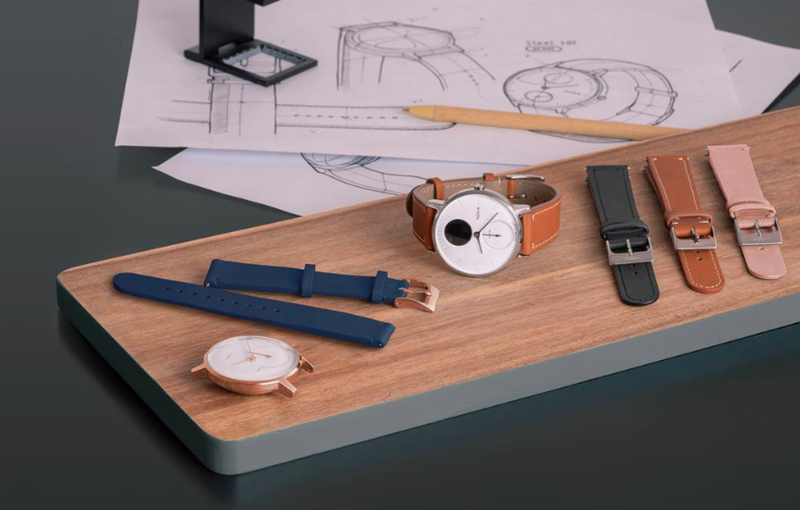 Nokia Health hybrid watches can still be bought today, but Carreel promises to bring back the Withings name later this year, so it could be worth waiting before making your purchase. Not to be left on the sidelines, the Swiss watch industry is paying (at least some) attention to the rise of the smartwatch. 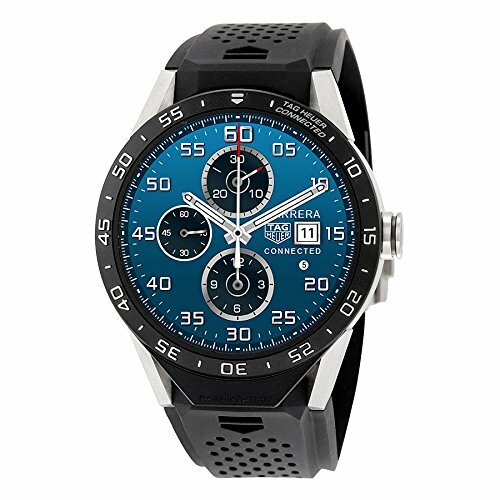 Tag Heuer was an early mover, partnering with Intel and Google to release the Connected in 2015. This is a true smartwatch, in that it has a touch screen and runs Wear OS. It lacks a heart rate monitor, but in its latest iteration has GPS for accurate run tracking and NFC for Google Pay. Priced from $1,200, the current model is available in two sizes, 41mm and 45mm, and although chunky (around 10mm thick), its design matches the sporty look of Tag's regular wristwear. Montblanc also jumped aboard the smartwatch bandwagon with the $890 Summit, which runs Wear OS but lacks both NFC and GPS. Finally, there are the Swiss watchmakers who blend modern technology with their centuries-old craft. For example, Frederique Constant has the Hybrid Manufacturer, pictured above, which is a self-winding mechanical wristwatch, but with a 'smart' module comprising Bluetooth and a fitness tracker. This $3,500 watch can, via the smartphone app, be configured to show a second time zone, battery life, or your daily step count on a second dial. As with other hybrids, the app shows more detail and offer sleep tracking, too. A final detail of this watch - and one for the horology nerds out there - is how the app shows how accurately the movement is keeping time, how healthy it is, and when a service is due.